The pope recently compared insulting a religion with insulting someone's mother - and remarked that anyone insulting his mother could expect a punch in the nose. I had a mental image of the pope smashing his fist into someone's face. Rather disconcerting! Perhaps a cartoon of Pope Francis doing exactly that? 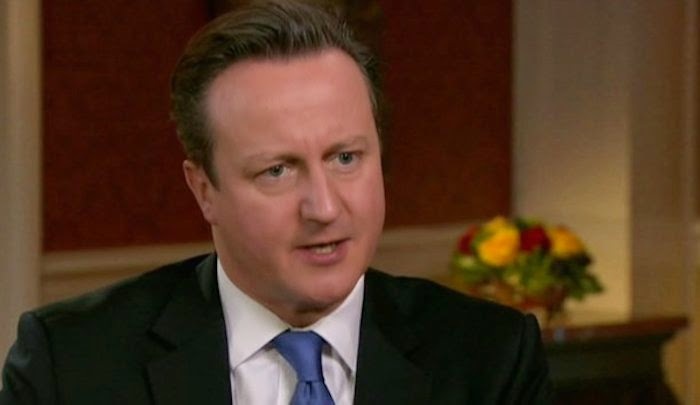 In an interview with British Prime Minister David Cameron ("PM[, down] on Pope['s] comments[, insists]: 'There is a right to cause offence,'" January 18, 2015), the BBC noted that the pope's words seemed to give some justification for violence in response to an insult directed at one's religion, especially when the pope added that "religions should be treated with respect, so that people's faiths were not insulted or ridiculed." I think in a free society, there is a right to cause offence about someone's religion. I'm a Christian - if someone says something offensive about Jesus, I might find that offensive, but in a free society I don't have a right to, sort of, wreak my vengeance on them. I'm glad Cameron said that, and that he said it directly in response to the pope. Cameron added that "as long as publications acted within the law, they had the right to publish any material, even if it was offensive to some." Right. No one should have the legal right not to feel insulted. Panorama (After Paris) beat you to it by a few days. It's really jarring to see that the British government is doing nothing to stop the early extremist indoctrination of school children because they are afraid of offending the offenders. Maybe they'll begin to change . . . I was disappointed that Christ's Vicar on earth would suggest responding to insults with violence. Maybe he needs to go back to kindergarten and learn how to use his words and give an I-message. Well, if you watch the 29 minute programme, you will see that at least some happy British muslims are doing their part and are experiencing some harsh blow-back from their angrier, and more prone to murdering nonbelievers, fellow muslims of the non British variety that just inhabit the isle while waiting for their total sharia law to take effect and spread over the entire planet. I, for one, mightily, and vocally, curse all these fracking gods and their accursed cults that all their weak minded cultists believe in while continuing their never ending evil brainwashing of innocent children who are forced into joining these fracking cults by their brainwashed/brain-dead parents/elders. I meant that maybe the British government will change, but I'm glad to hear that some Muslims also want change. Yes, I saw that part of the video. I learned something new from you, Sonagi: "I-message." But popes are more used to the royal "we" message, aren't they? Some lines from my new, uncanny story . . .